Maximum protection against sunlight for soft baby and children´s skin. 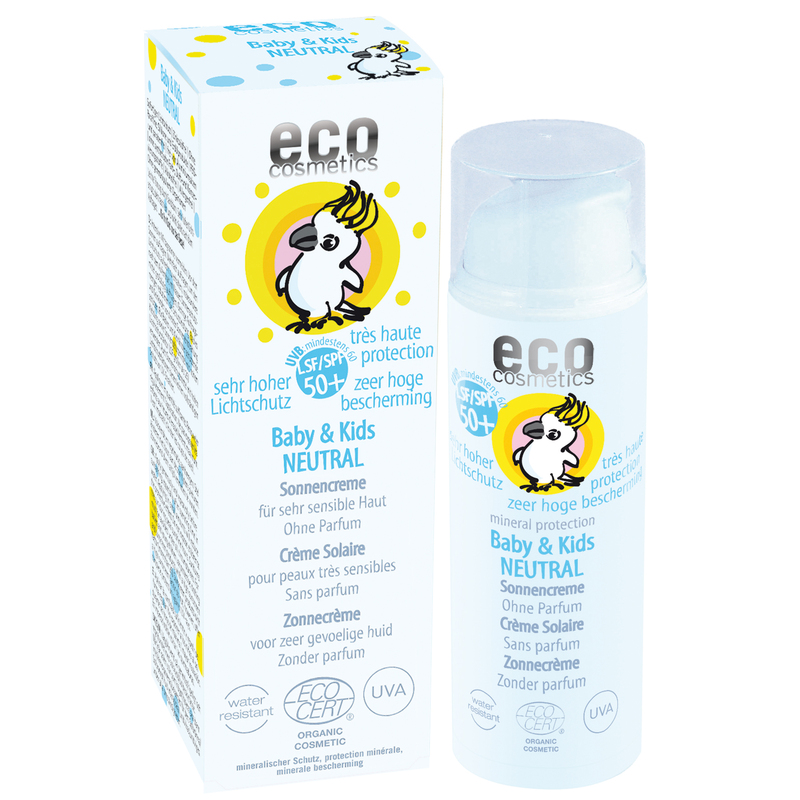 Eco cosmetics sun cream for babies and children offers a broadband protection against UVA and UVB. The soft cream is absorbed quickly, does not whitenand supplies instant protection once applied. Even water babies are ideally protected, thanks to the waterproof formula.